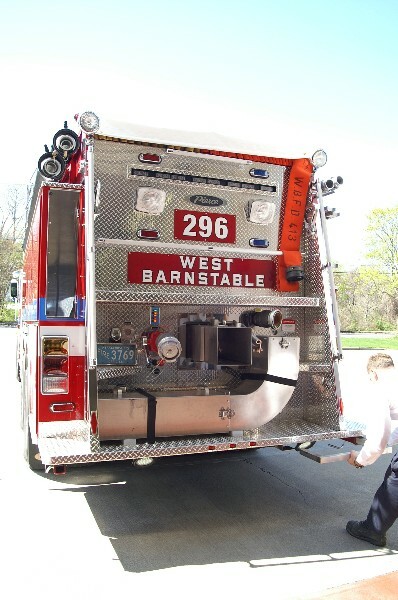 Out of service for several years being "rebuilt"
as Car 280. 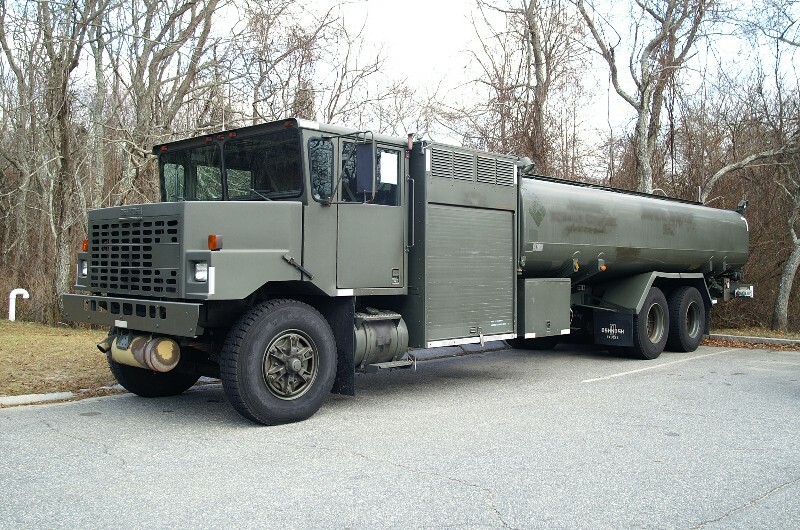 It will serve general utility purposes. 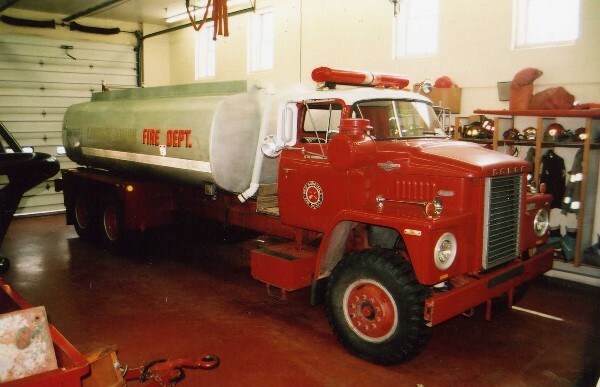 with a 1500 gpm pump / 400 gallon tank. 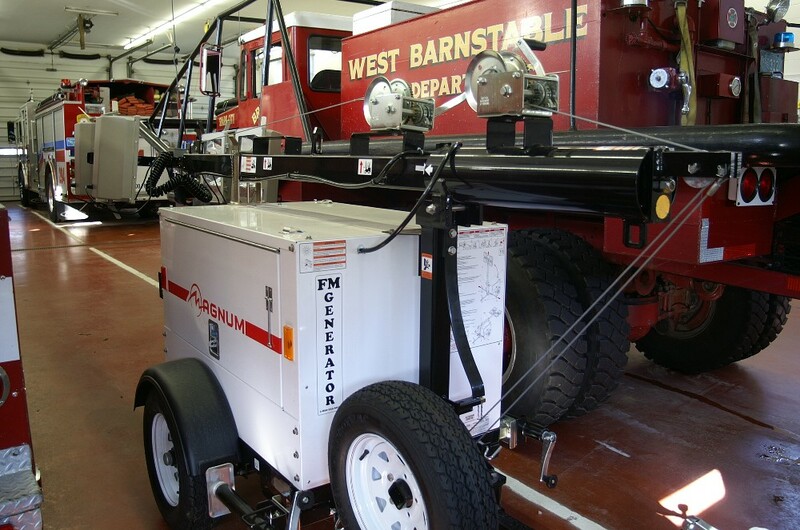 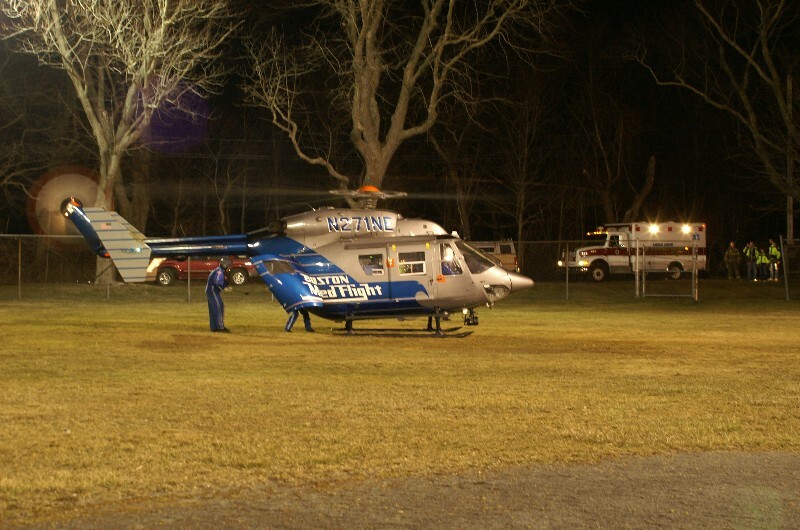 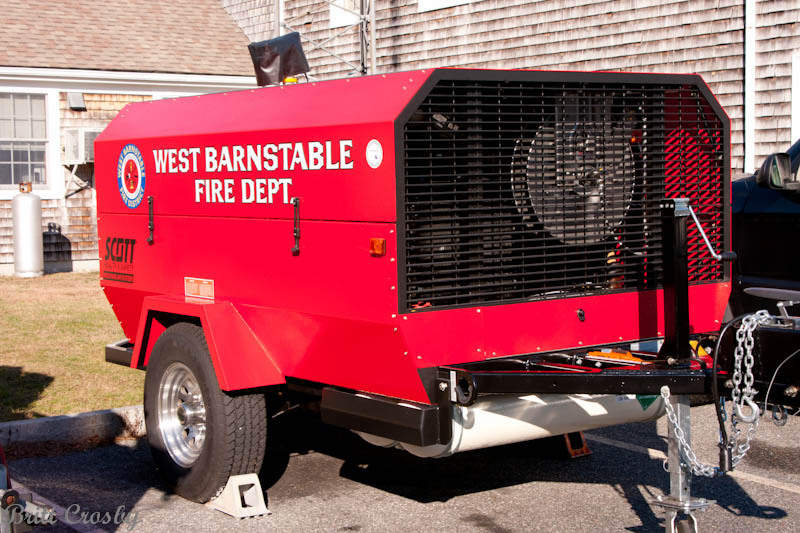 It was bought from Lake County, FLA.
West Barnstable received one of these Magnum 6000w Generator / Light towers. 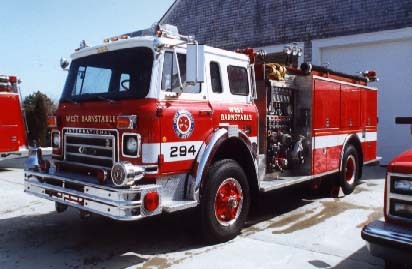 West Barnstable Tanker 296 returned to service in May 2005. 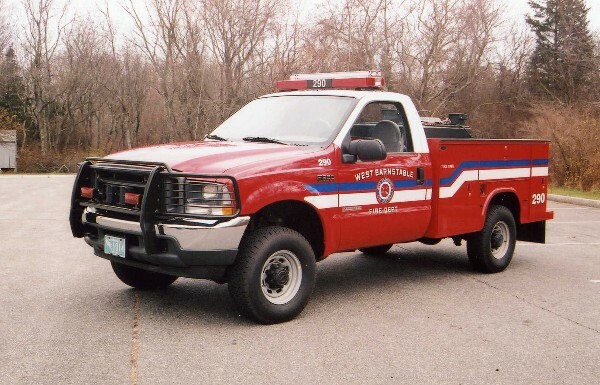 It was completely rebuilt including a new pump, water tank, body work, etc..
And the new color scheme. 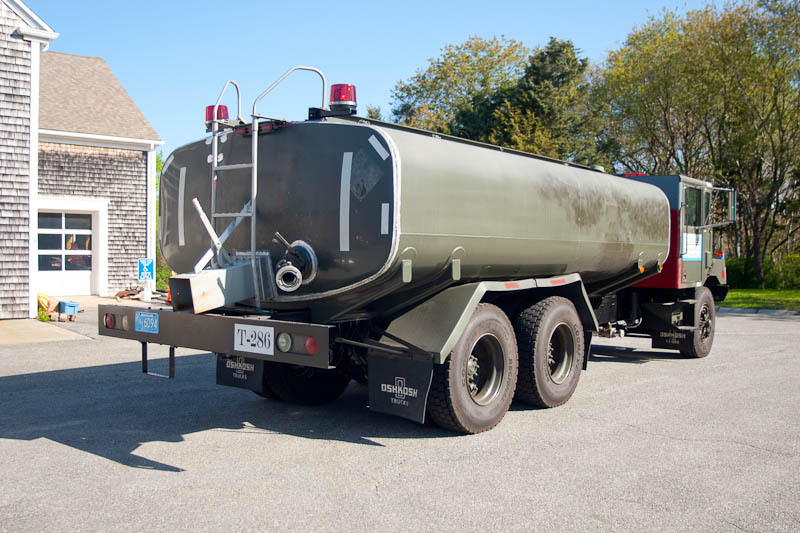 that for the district with no water system. 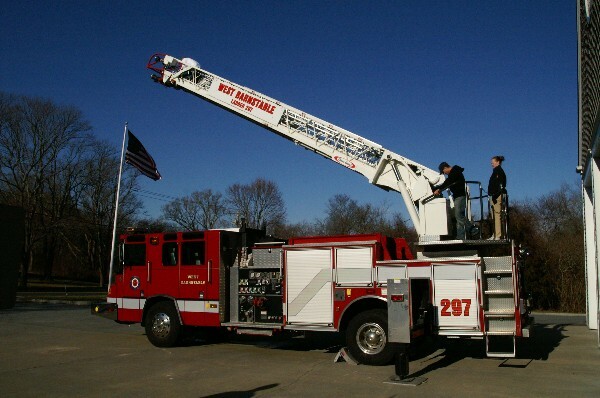 Returned to Mass Surplus following return of ET-296 in May 2005. 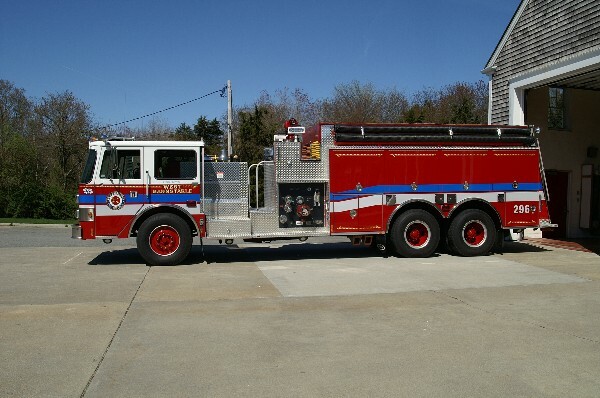 The new Patrol 290 was delivered in November 2004.
is equipped with the 100 gpm / 200 gallon skid pump with class A foam system. 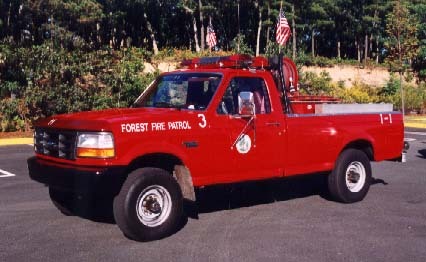 for a new Ford Pickup Truck with a Utility body and pump at the 2004 Annual meeting. 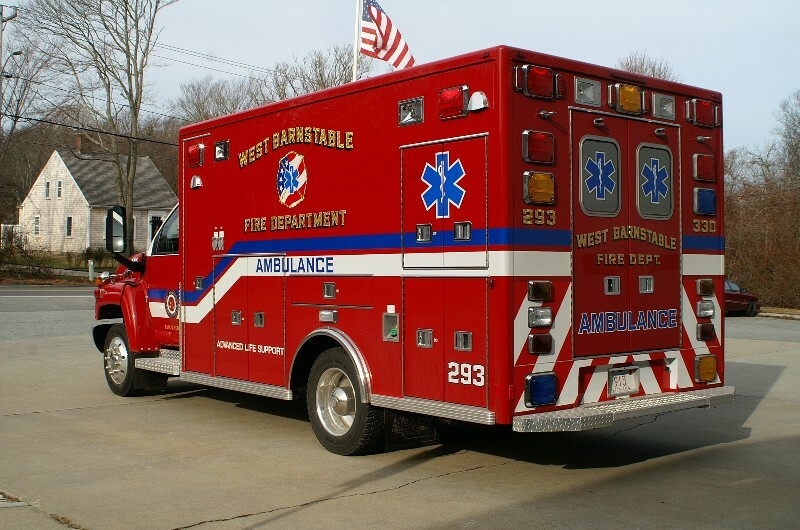 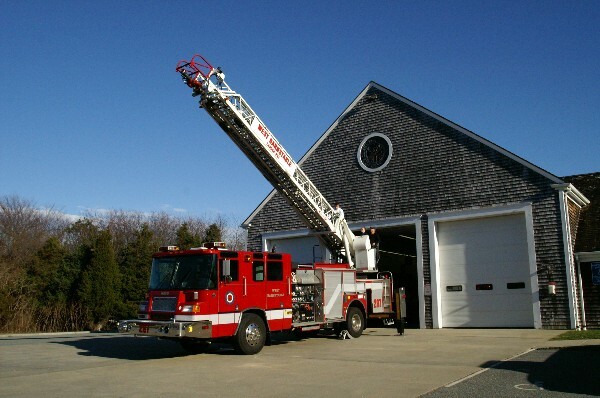 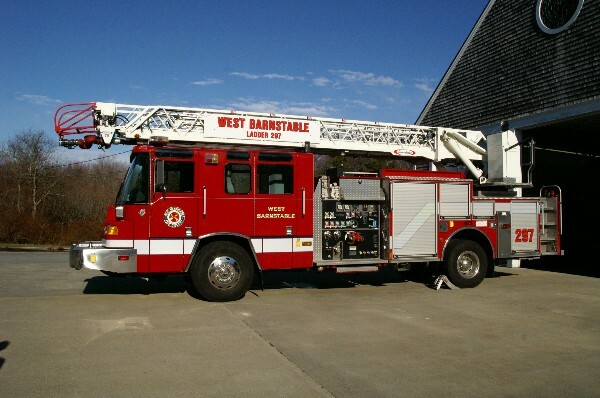 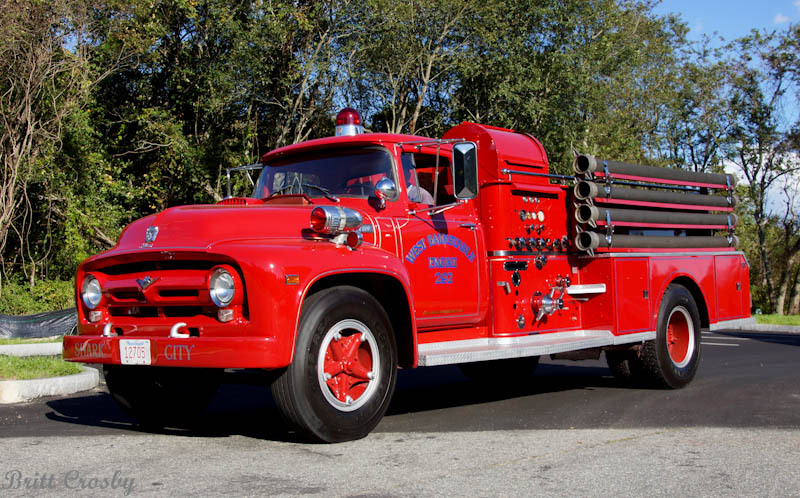 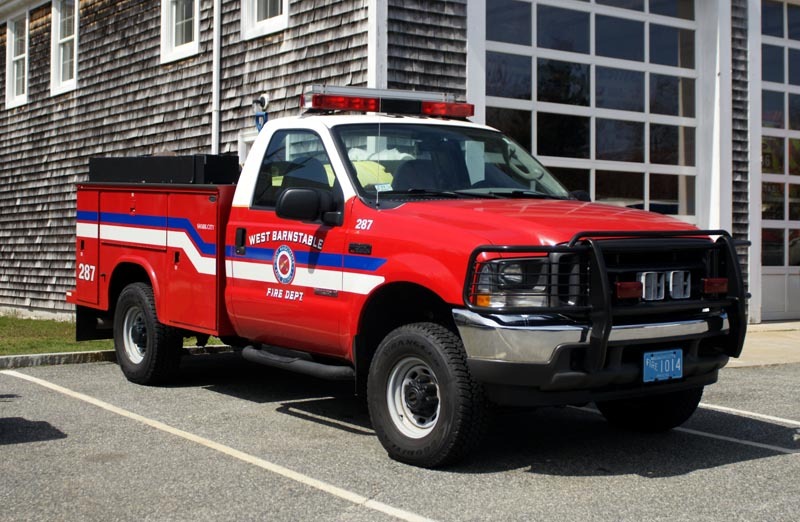 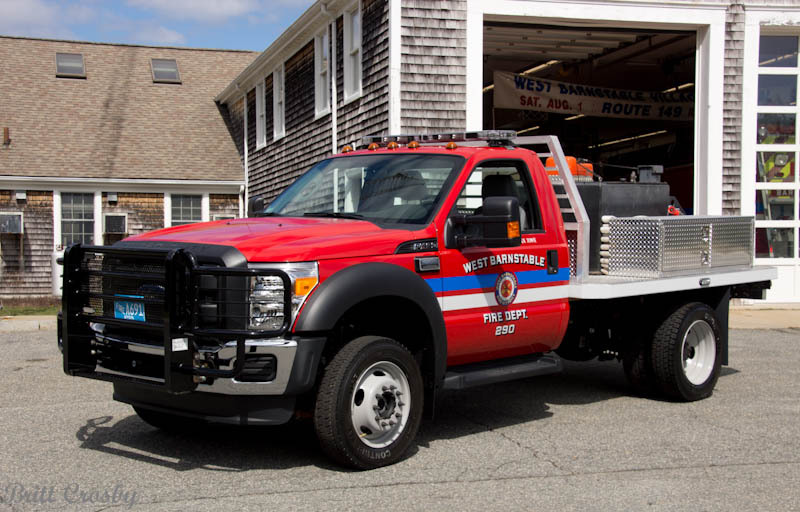 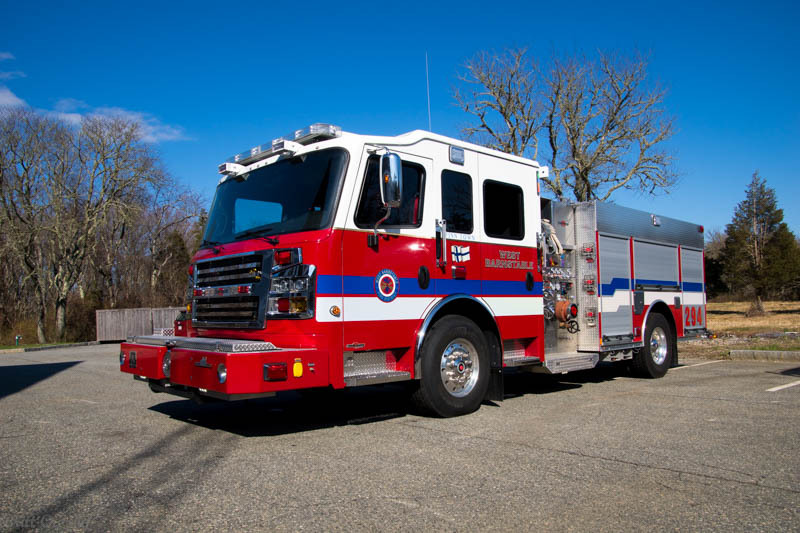 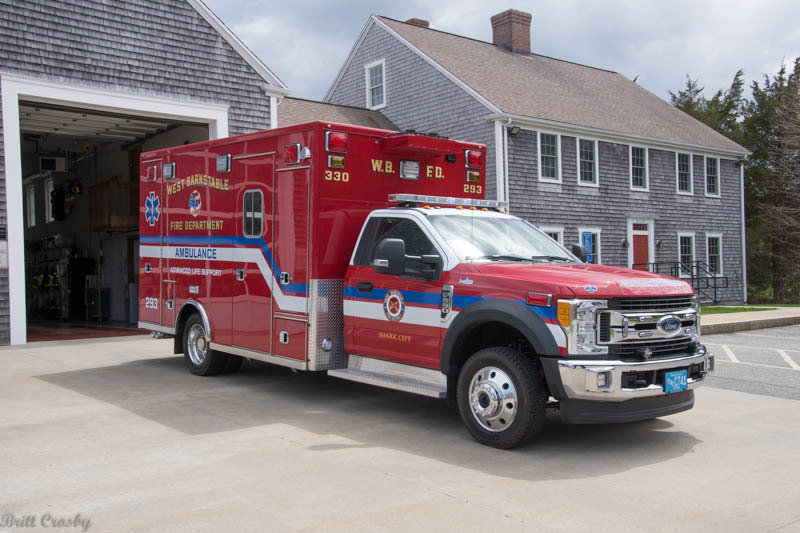 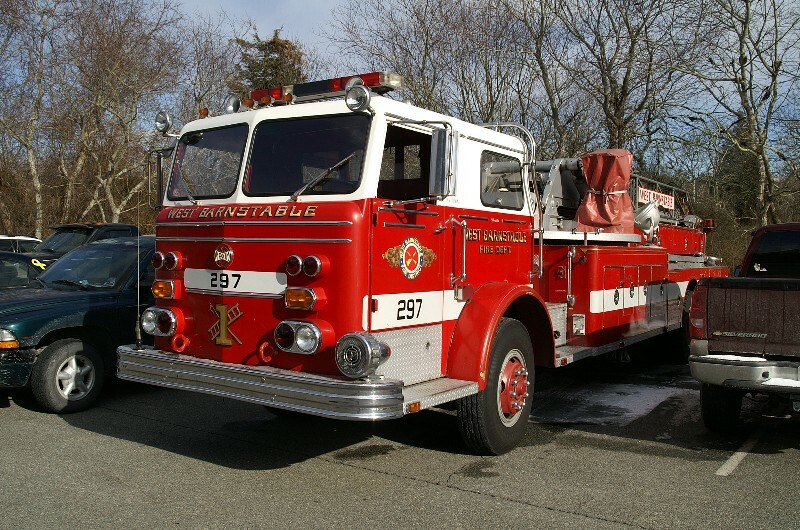 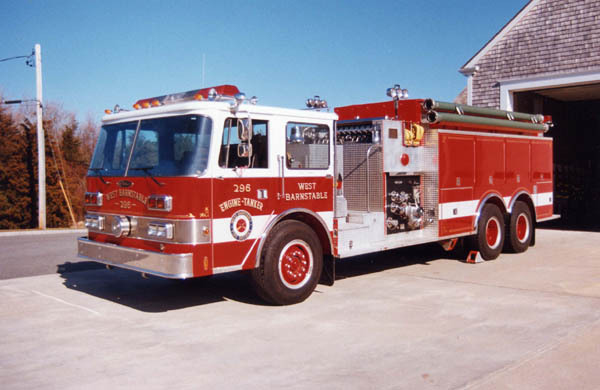 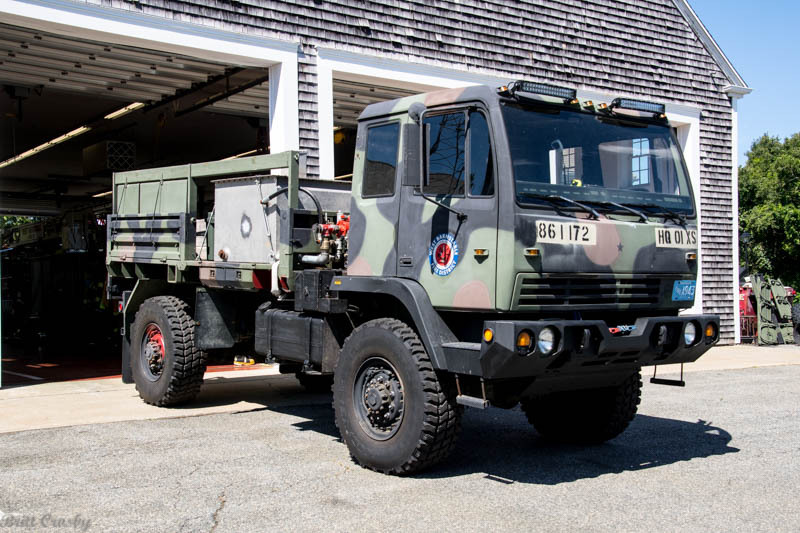 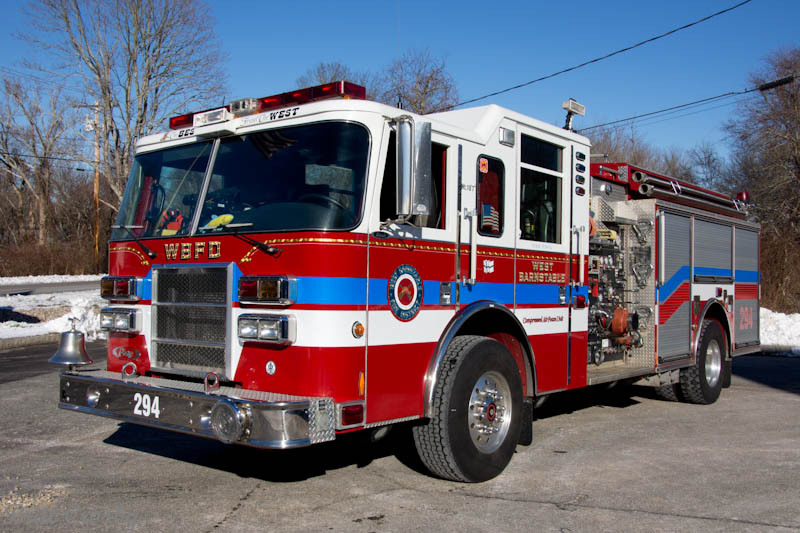 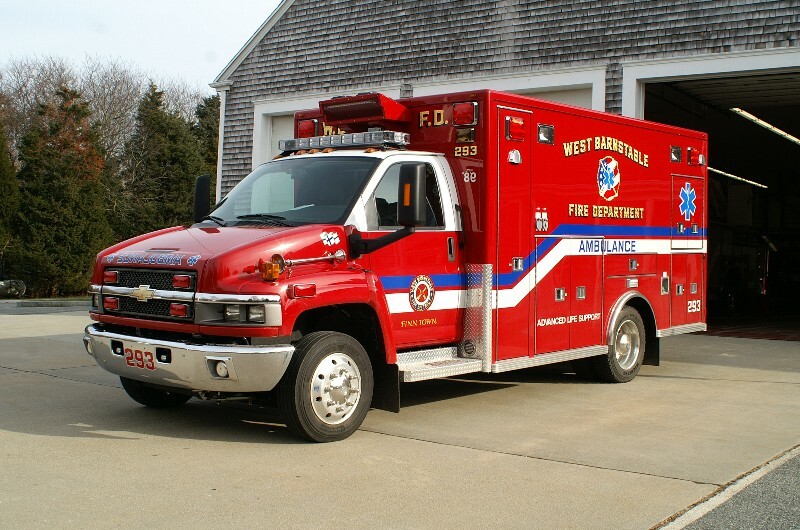 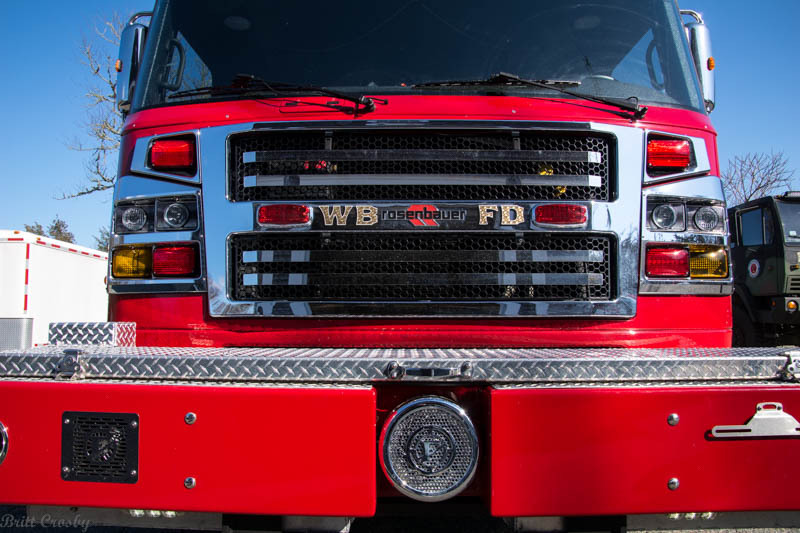 West Barnstable Fire Department - Engine 294 - WBFD voters approved funding on April 25, 2001 to replace their 1979 International/ Pierce 1000/1000 pumper Engine 294. 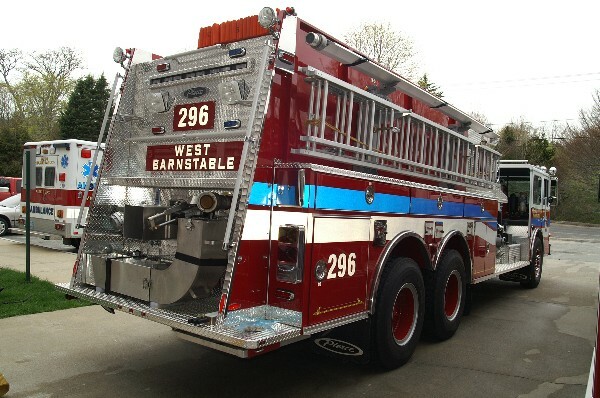 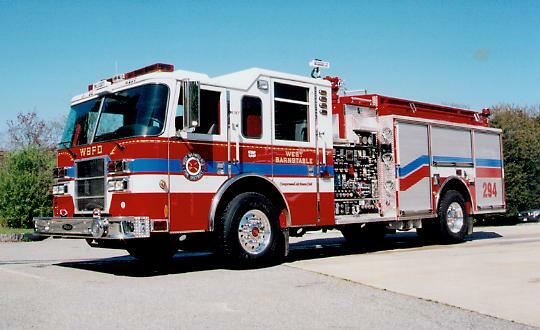 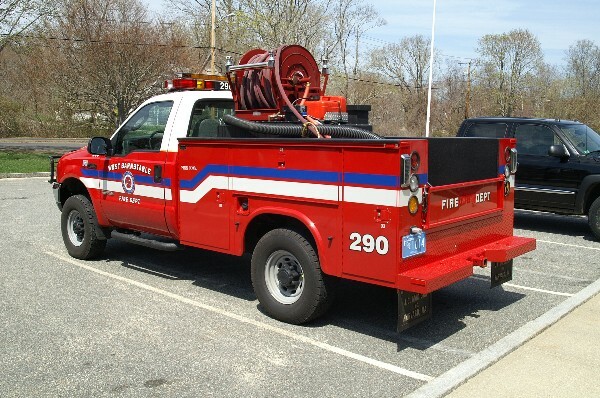 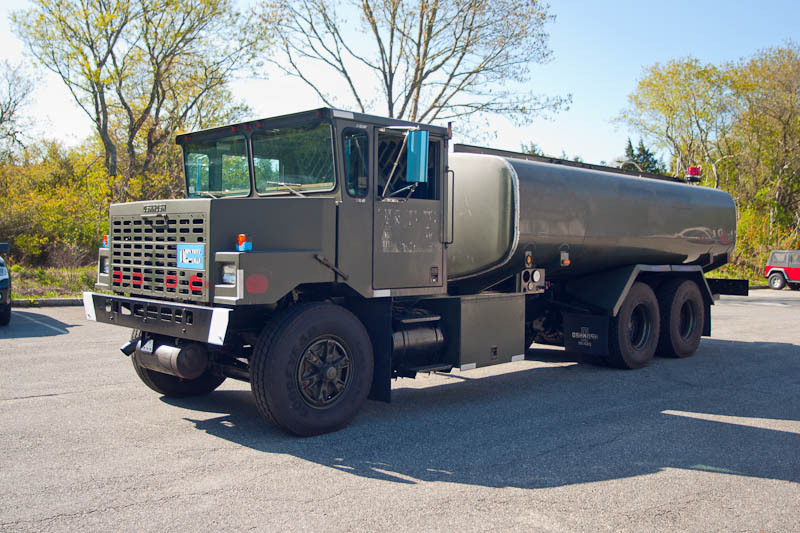 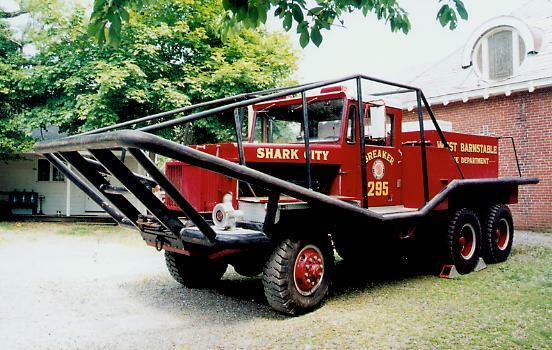 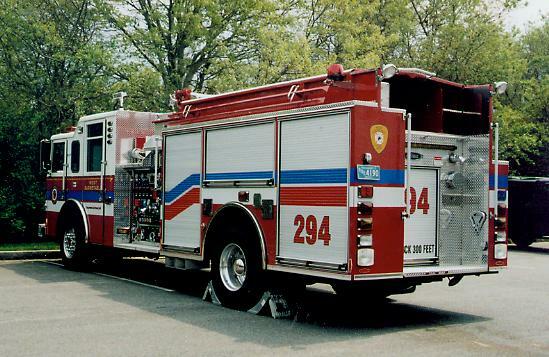 The 23 year old pumper was retired and sold to an out of state department in June 2002..
West Barnstable was one of the stops made by a black bear recently. 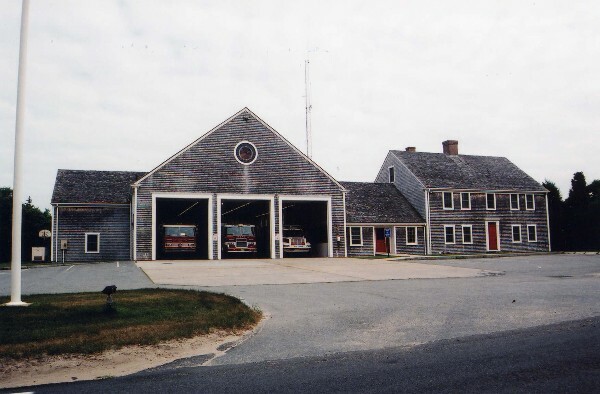 has been reportedly moving down Cape over several days. 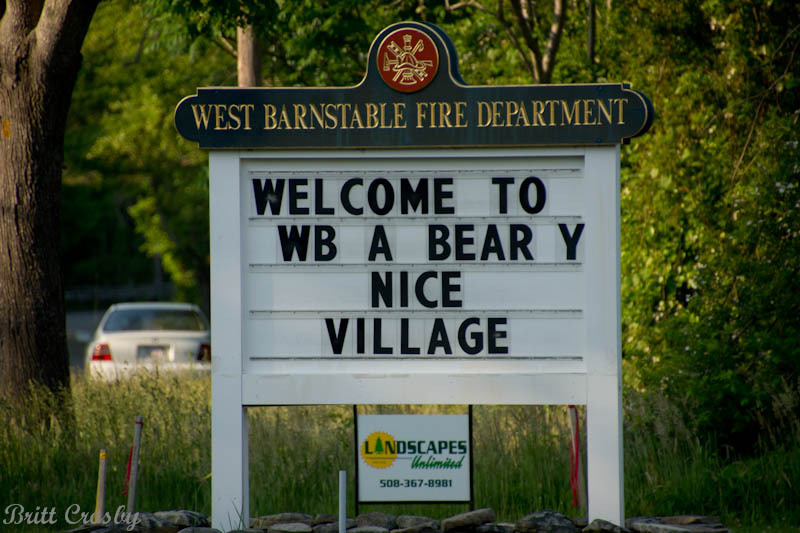 year's Hurricane Irene. 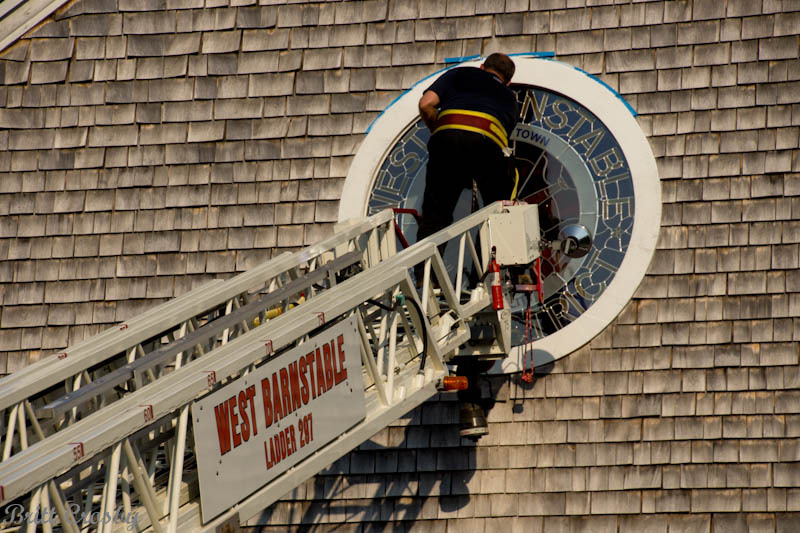 It was recently repaired and placed back where it belongs. 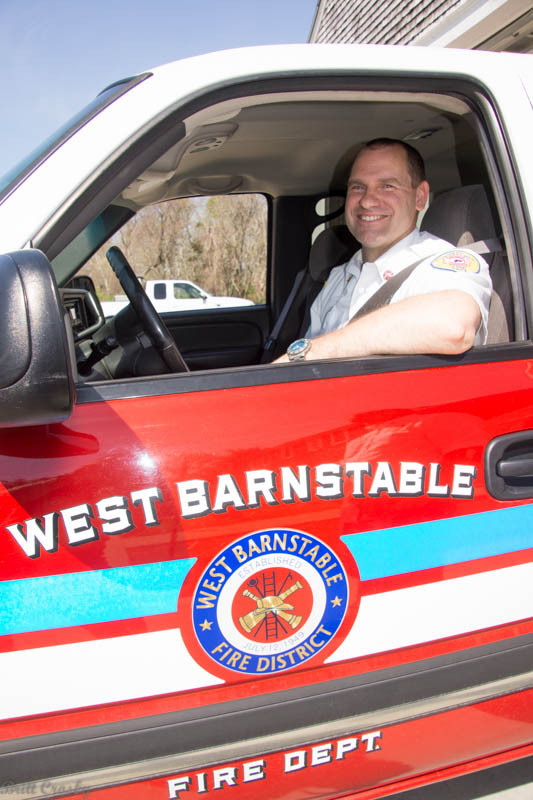 Congratulations to Deputy Chief David Paananen. 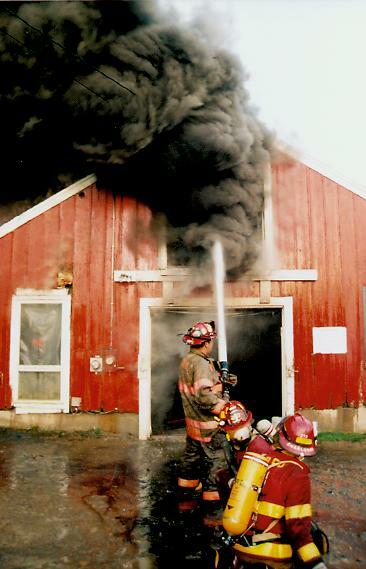 awarded a grant that is helping to fund the position. 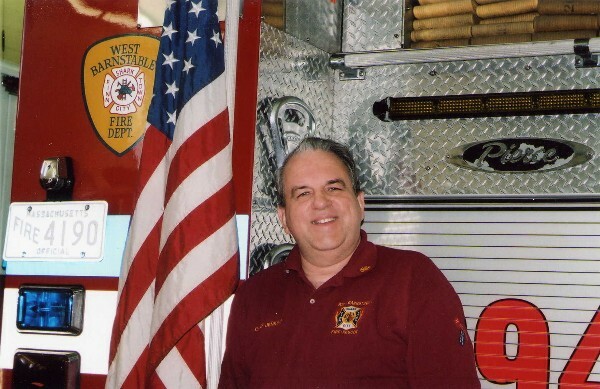 passed away on January 25, 2011 after a lengthy battle with illness. 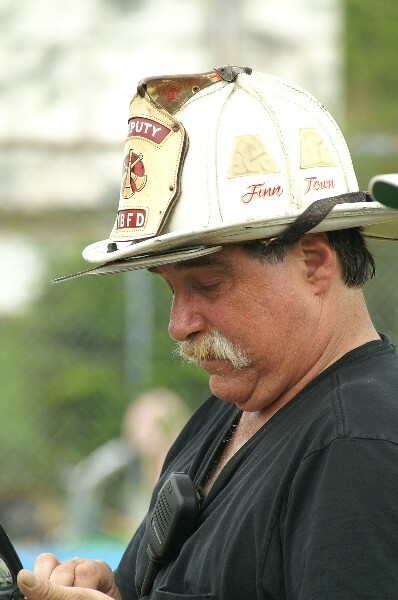 Deputy Pye served 40 years with WBFD from 1969 to 2009.
many years in department leadership. 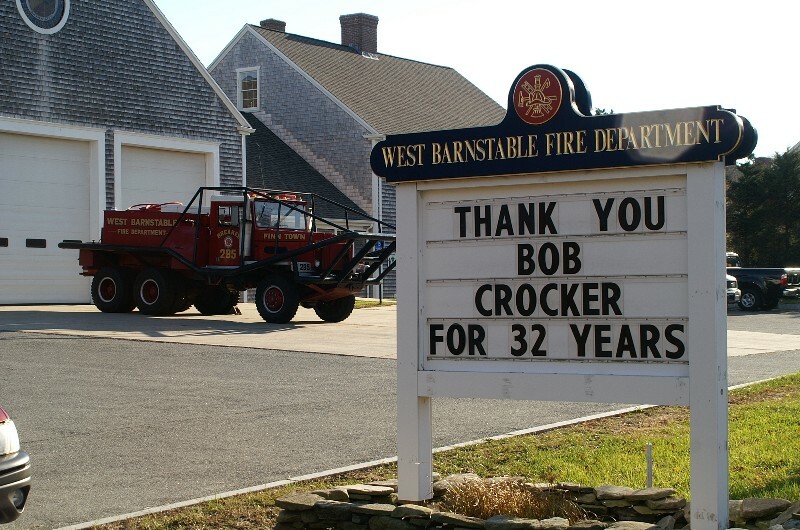 West Barnstable Fire Department congratulates Sr. Pvt Robert Crocker. 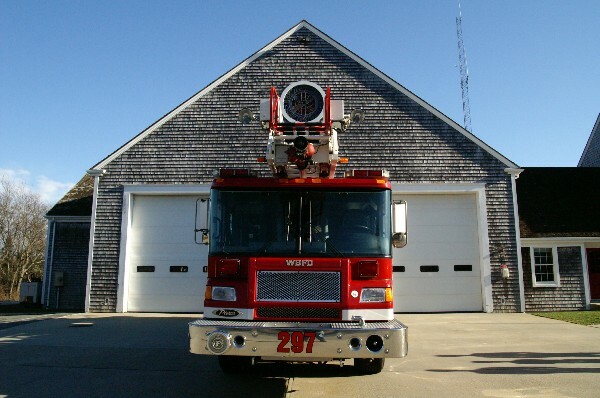 WBFD a new radio frequency 33.04 with call sign WQDR 782.
be in use around Jan 1, 2007. 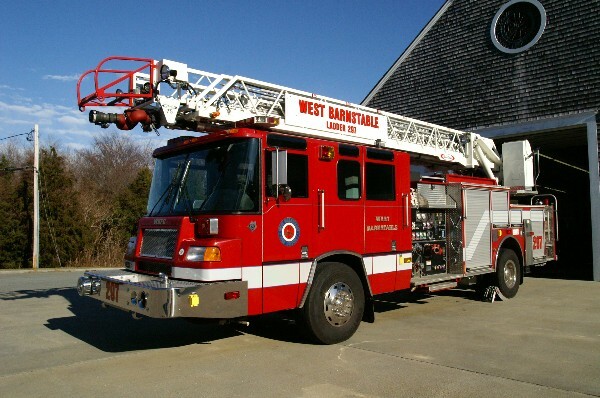 The "new" Pierce Quint Ladder 297 was "wet down"
WBFD has begun staffing Headquarters on a 24 hour schedule as on Jan 1, 2006. 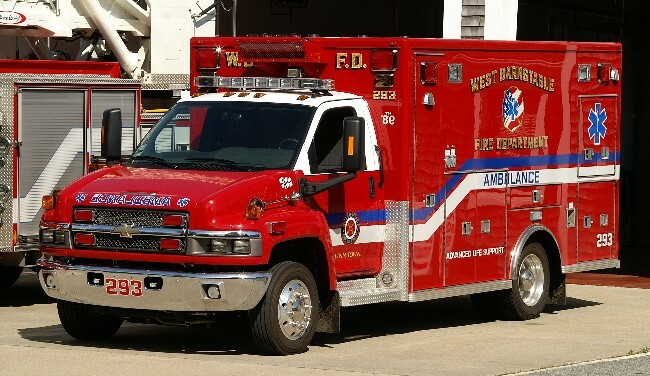 One paramedic is on duty 24 hours a day. 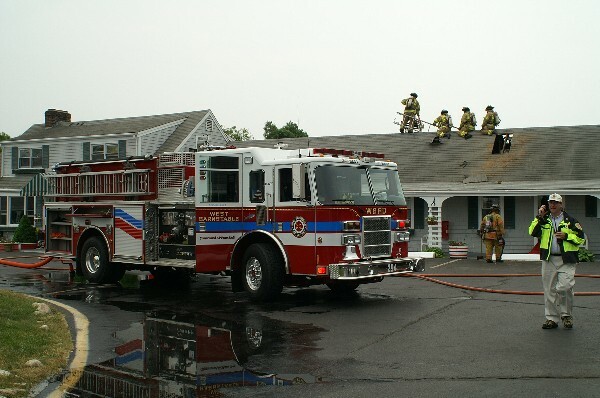 Week days have 2 personnel on duty. 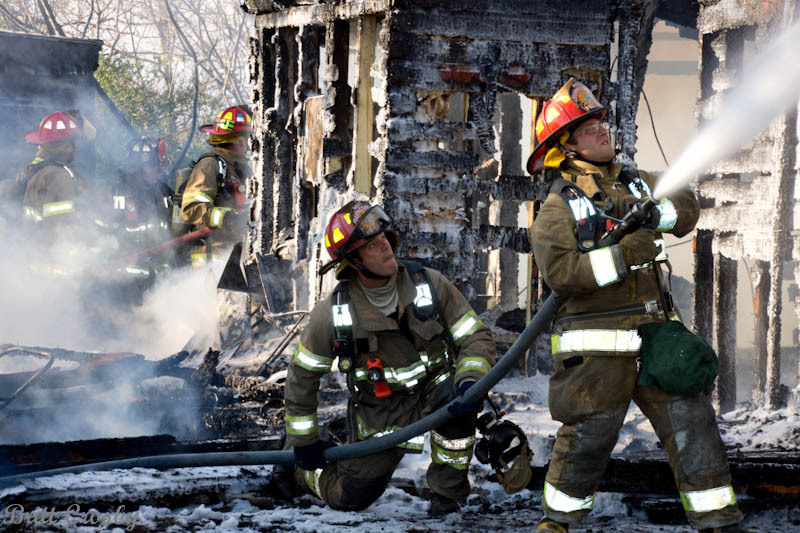 system has also been instituted with a call officer assigned to each shift. 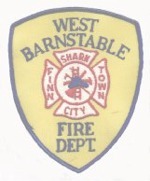 Maruca served as WBFD Captain for many years prior to appointment. 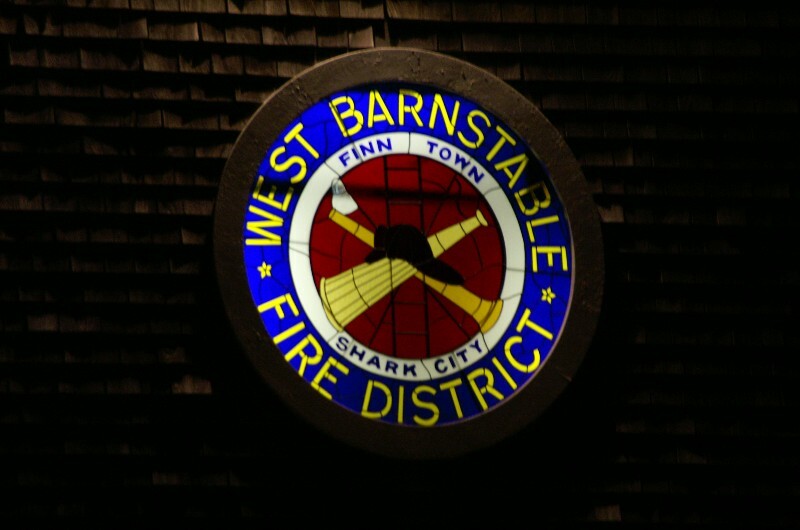 John Palmer Jenkins has been the Fire Chief in West Barnstable since 1973. 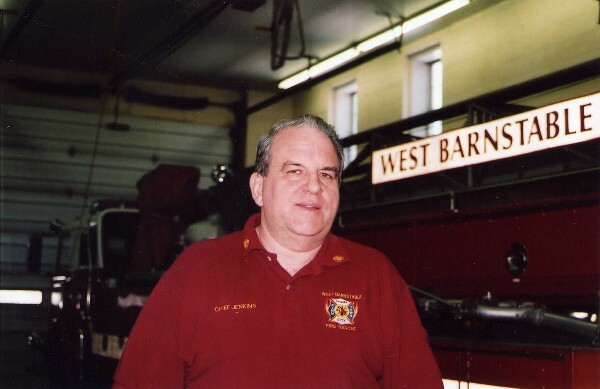 He retired on Saturday March 12, 2005 after completing 32 years as Fire Chief. 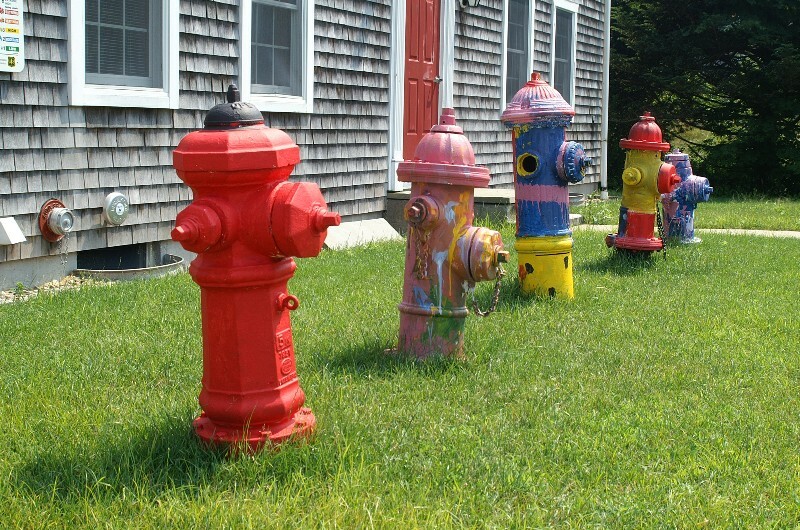 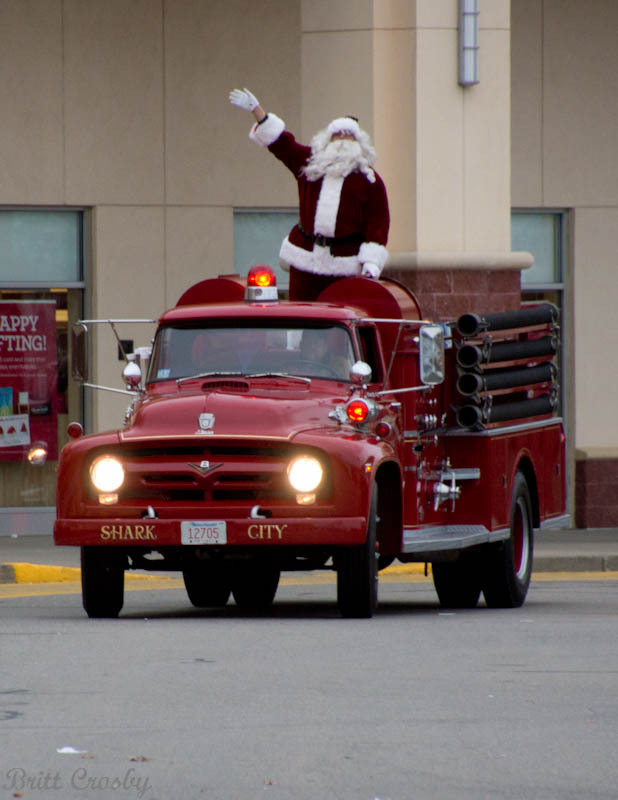 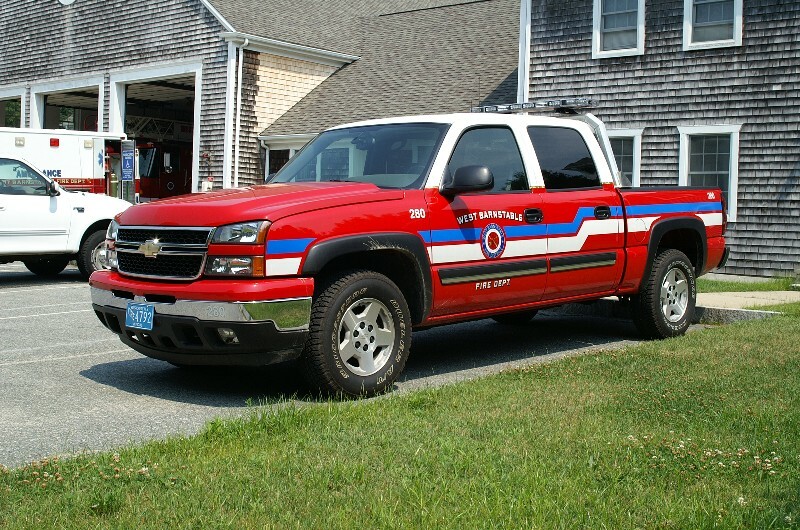 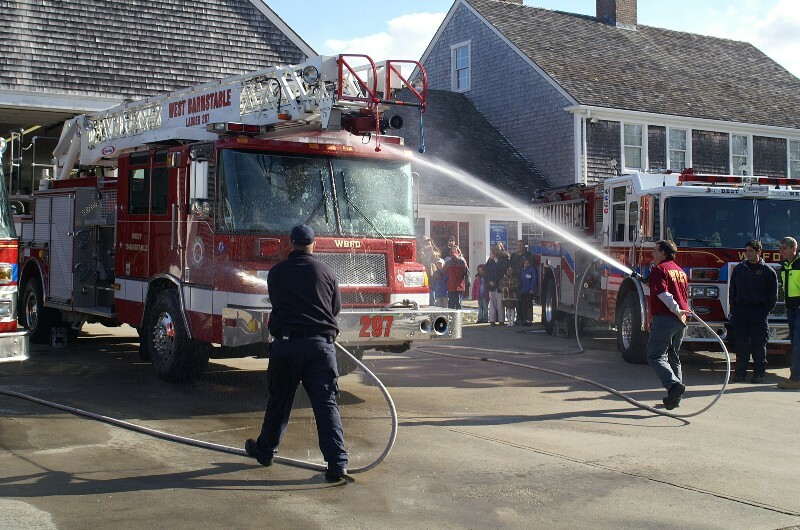 fire - EMS service on Cape Cod has been honorable and outstanding. 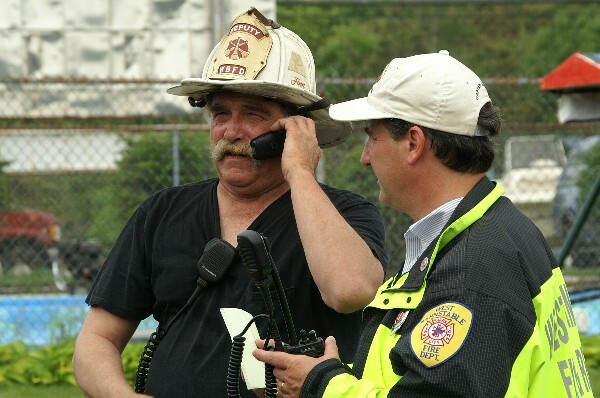 His leadership and friendship could always be counted on and will be missed. 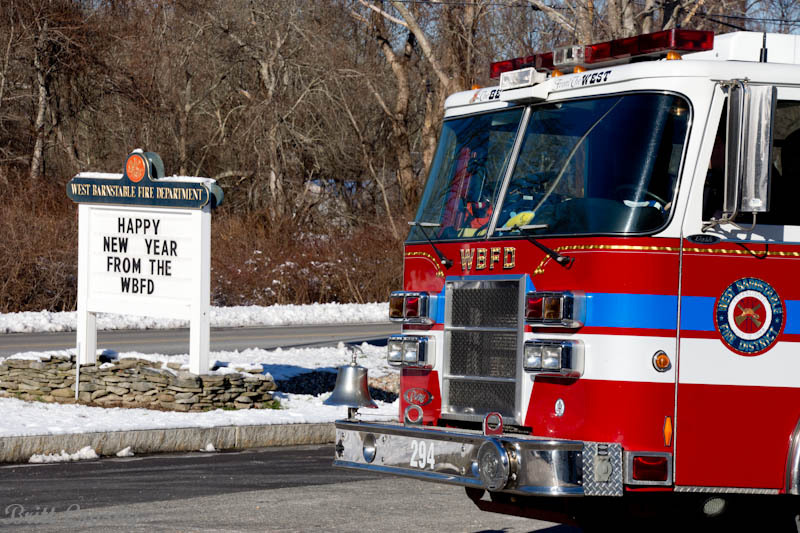 We wish him all the best in his retirement years. 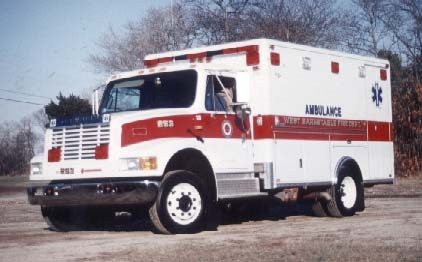 A replacement has not yet been named. 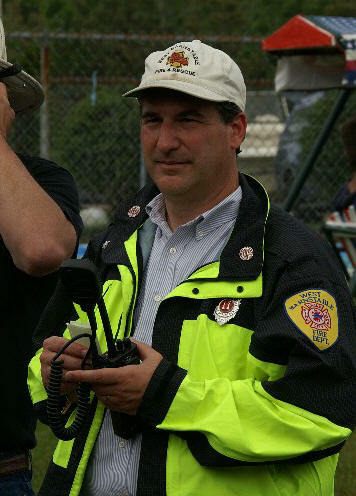 Deputy Chief Craig Pye will be in charge until a new chief is named. 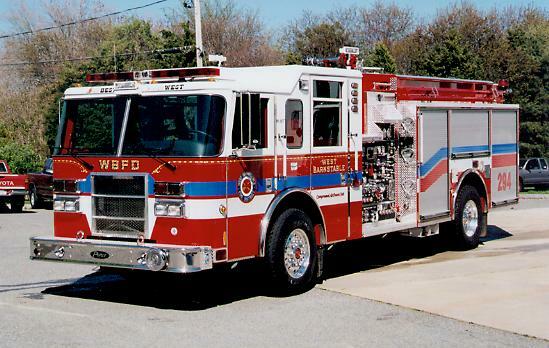 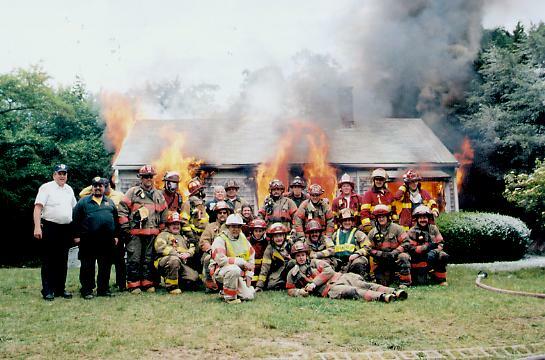 WBFD responded to 443 incidents in 2001, up 12 calls from 2000. 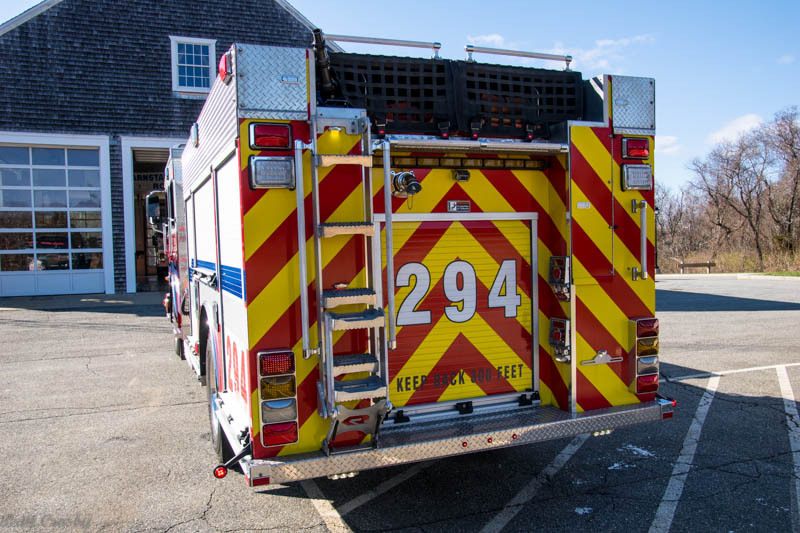 The 2.8% increase represents an average of 1.2 calls a day. 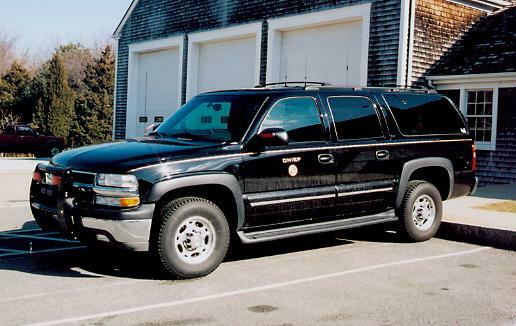 Former Deputy Chief Richard R "Butch" Clough, age 61, passed away suddenly while hunting in New Hampshire on Friday November 17, 2000. 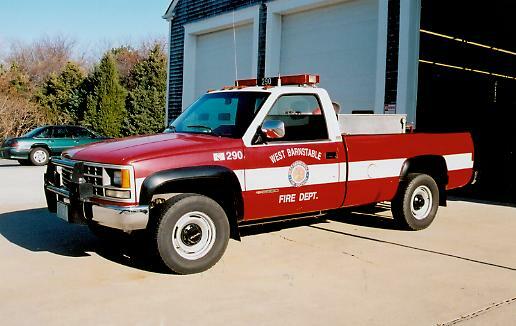 Butch was a past member of the Hyannis, COMM, and WBFD departments.